Proto Aleksandar Bugarin was born October 4, 1968 in Pacir, Vojvodina, Serbia and grew up around Novi Sad. The son of a Serbian Orthodox priest, Aleksandar knew he wanted to follow in his father’s footsteps and pursue the priesthood. He came to the United States in 1989 to attend the newly opened School of Theology at the St. Sava Serbian Orthodox Monastery in Libertyville, IL. He participated in many aspects of seminary life and worked his way through school graduating with his Bachelor of Theology degree in 1992. During this time he met his future wife, Gordana nee Markovic of Racine, WI, and the two were married in May of 1994 at St. Sava Monastery. In July of that same year, Aleksandar was ordained to the Holy Diaconate by His Eminence Metropolitan Christopher. The S.S.S. St. George Choir of Kansas City traveled to Libertyville to sing responses for his ordination. From July to November 1994, Fr. Deacon Aleksandar served the Kansas City parish as its official parish deacon. In November of that year, he was ordained to the Holy Priesthood by His Eminence Metropolitan Christopher in St. George Church. Father Aleksandar officially took over as parish priest from the then retiring Protojerej-Stavrofor Fr. Milan Bajich in January 1995. The congregation celebrated its 100th Anniversary and consecrated its new church in Lenexa. Father Aleksandar worked diligently with the church’s building committee during the planning and construction of the new church. At the Divine Liturgy celebrated the day of the consecration, Father Aleksandar received his next priest elevation to Protojerej by His Eminence Metropolitan Christopher. Over the next several years, Proto Aleksandar would take on additional rolls within the New Gracanica-Midwestern Diocese. He was instrumental in helping to form the first Serbian Orthodox Church in the state of Iowa. In 2013, the newly purchased and converted church in Des Moines dedicated to St. Demetrius was consecrated by His Grace Bishop Longin. It was at this church consecration that he would receive his last priest elevation of Protojerej-Stavrofor with the rite to wear the Pectoral Cross. On June 29, 2018, Proto Aleksandar was appointed parish priest of St. George Church in Joliet, effective August 1, 2018. He, Protinica Gordana, and their family look forward to joining the St. George family in Joliet. As of December 1, 2017, at the behest of His Grace, Bishop Longin, Rev. 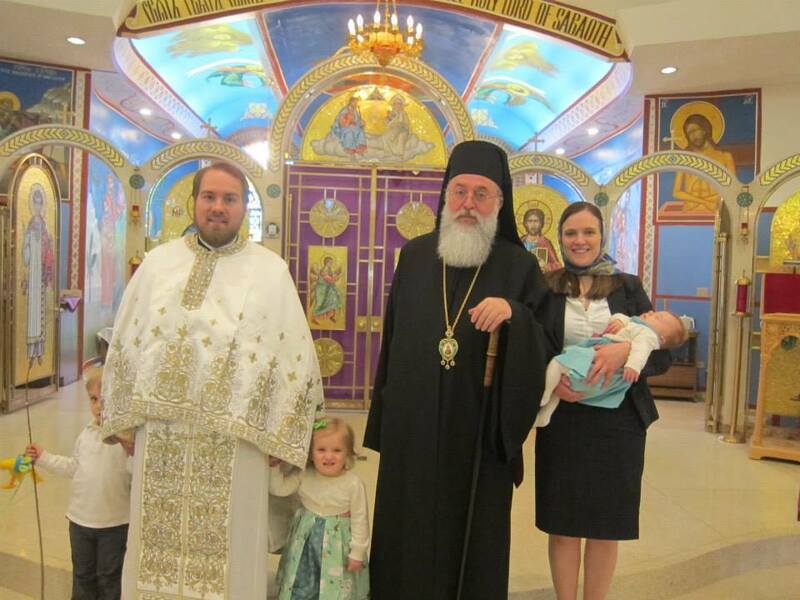 Kostur was assigned to Holy Resurrection Cathedral in Chicago, IL and Very Reverend Fr. Ned Lunich agreed to come out of retirement and serve as Temporary Administrator of St. George until a replacement was found. St. George was very grateful to Fr. Lunich for agreeing to return. V. Rev. 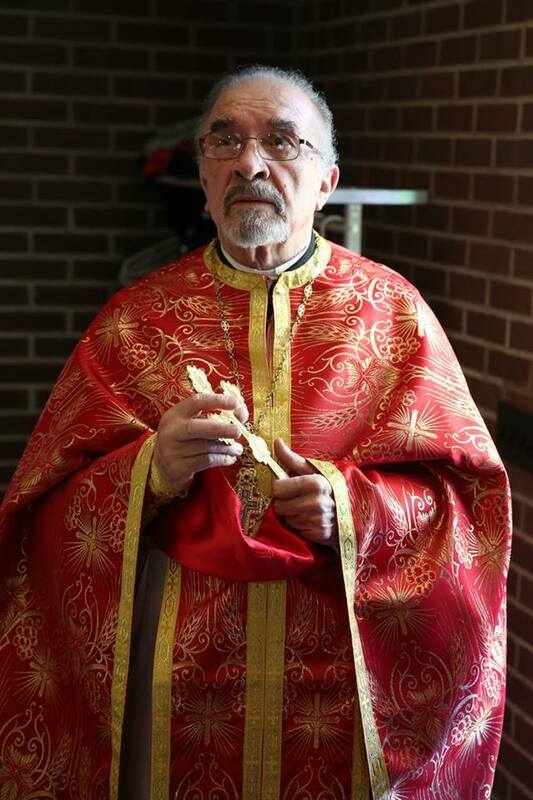 Lunich had been the parish priest of St. George, Joliet for 40 years, from 1974-2014. We welcomed his return, albeit on a temporary basis. Fr. Nikolaj Kostur, the youngest of the five children of Archpriest-Stavrophor Lazar and Protinica Mira Kostur, was born in Duluth, Minnesota, on December 16, 1981. While still a young child, the family moved to Merrillville, Indiana, where his father served as parish priest of St. Elijah Cathedral from 1986-2008. Having been raised in a traditional Serbian Orthodox priest's family and having received a calling for service to the Church, Nikolaj decided that following in the path of his father was the only future road for himself. During the summer months, he traveled to Serbia to further his knowledge of the Serbian language and to learn more about the spiritual and cultural wealth of our Serbian people, visiting monasteries, museums and various cities throughout Serbia, Montenegro, and Croatia. In 2005, he successfully graduated with his Bachelor's Degree in Theology and then traveled to Serbia, where he remained until 2006. It was during this time that Fr. Nikolaj was blessed to be with His Holiness Patriarch Pavle of blessed memory, singing at the chanter’s stand and regularly participating in the service schedule of the Cathedral Church of the Holy Archangel Michael in Belgrade. Upon his return, from Serbia, Fr. Nikolaj began general studies in history at Purdue University, towards a Master of Arts Degree. In 2007, with the blessing of Bishop Longin, he moved to New York, where he continued his studies in the Master of Theology Program at St. Vladimir's Orthodox Seminary. In May of 2009, Fr. Nikolaj successfully completed his studies at St. Vladimir's Seminary receiving a Master of Theology Degree, in the fields of Church History and Liturgics. At the hands of Bishop Longin, Fr. Nikolaj was ordained to the Holy Priesthood on April 13, 2014, the Feast of Palm Sunday, at St. George Church in Joliet, Illinois. After his ordination, Fr. Nikolaj served in the Diocesan See, New Gracanica Monastery, where he continued his responsibilities to the Bishop and Diocese. On December 2, 2014, Fr. Nikolaj was appointed parish priest of St. George Church in Joliet, effective January 1, 2015. He and Popadija Katya have three children: Lazar (2010), Kasijana (2012) and Marija (2014) and look forward to joining the St. George family in Joliet. Nedeljko Lunich was born January 23, 1938 in Ruzic, Drnis, Dalmacija to his parents Dusan and Anica. As a young boy, Father Lunich attended Elementary School in his village and High School in Drnis. That was a time when not many went beyond elementary education. But, with encouragement from his parents, he went on to St. Sava Seminary in Beograd, Yugoslavia and graduated in 1959. He continued his education at the Theological college in Beograd, where he studied from 1959-1962. After spending a year in Italy, he came to the United States on March 15, 1963. 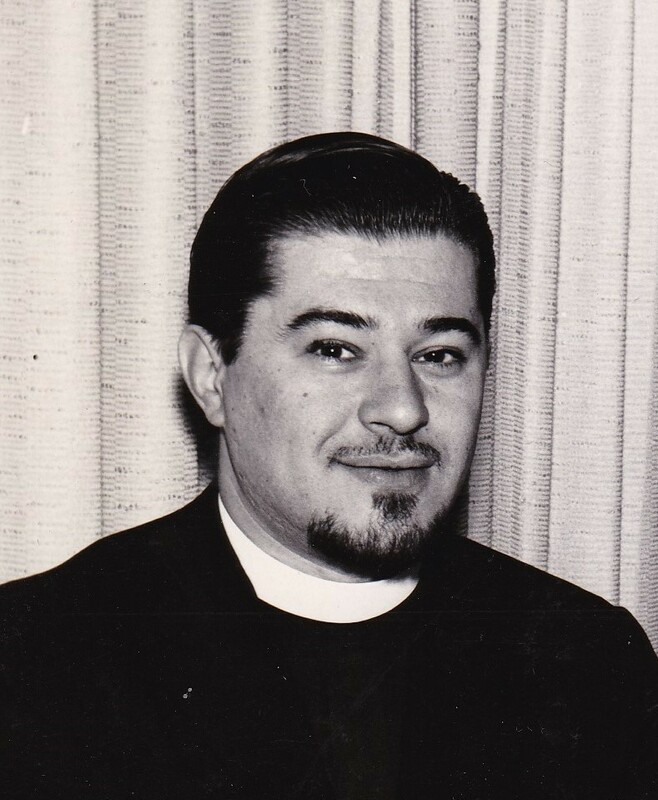 On February 27, 1965, he was ordained to the deaconate and subsequently to the priesthood on March 15, 1965 by His Grace Bishop Firmilian of the Midwest Diocese. 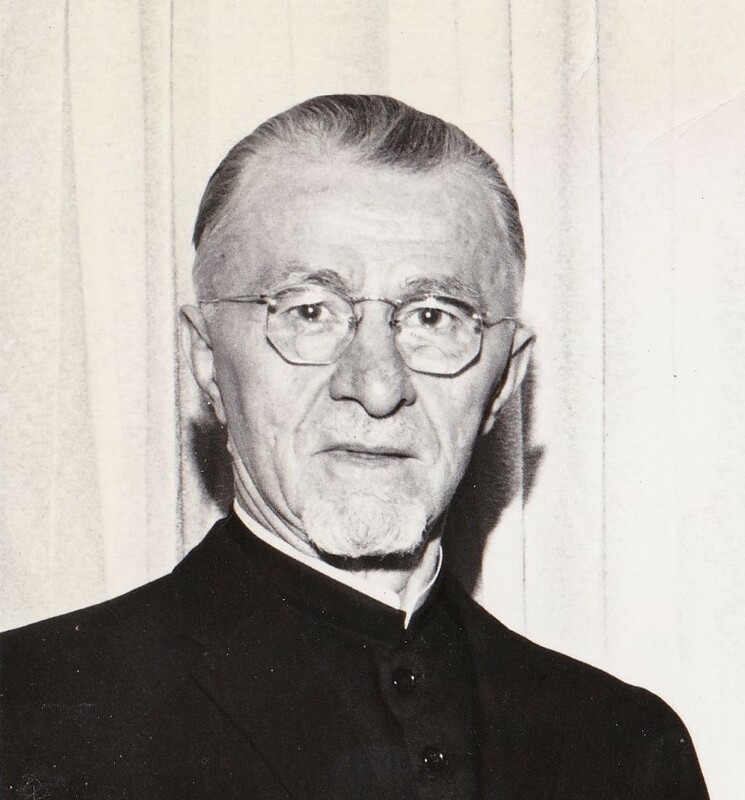 Father Lunich’s first assignment was an assistant pastor to St. Lazarus “Ravanica” Church in Detroit, Michigan from 1965-1969. While in Detroit, the new St. Lazarus Cathedral “Ravanica” was built and consecrated in 1967. He then traveled on to St. George Parish in East Chicago-Schererville, Indiana from 1969-1974. In East Chicago, while church services were held in the Carpatho-Russian Church, church property in Schererville was purchased and a Church Hall with other accompanying facilities was built. And in 1974 was appointed parish priest in Joliet, Illinois, where he remained until his retirement in December 2014. Over the years, Father Lunich continued on with and explored higher education, both as a student and teacher. He graduated with a Master of Arts degree and teaching certificate from the University of Detroit and studied at Wayne State in Detroit for a PhD. He taught at East Chicago Public Schools and Purdue University extension in Hammond, Indiana. Some accomplishments include being awarded all priestly ranks. He was “Man of the Year” for the SNF in 1972. Father is a member of the Diocesan Council and was co-editor of the “Path of Orthodoxy” for 37 years. He served on many Diocesan and Central Church Committees during his long, 50-year service in the Serbian Orthodox Church. He was the Metropolitan’s Deputy and at the present time is the Bishop’s Dean of the Chicago Deanery. Father Lunich also served on the Board of Directors and Auditing Board for the SNF. Father Lunich has two children, Stevan and Neda (Mike) and four grandchildren, Gabriella and Aleksandra Lunich and Stella and Michael Bilder. While in Joliet, over 40 years, Father Lunich has led his congregation spiritually, with support, and progressively. In addition to his priestly duties, he was the business manager of the St. George Social Center for twenty-eight years. He has faithfully served for Sunday Liturgy and Holy Days, accompanying services with sermons of words of encouragement and wisdom. He has given support to parishioners and church organizations during the days of both hardship and celebration. He has also guided the St. George Church Board and Congregation in three integral building projects – this being the construction of our St. George Social Center in 1976, our new St. George Church in 1982, and the parish house in 1988. All of the above mentioned have helped the St. George Church School Congregation become what it is today. We thank him for his years of devotion and congratulate him on his milestones.